Former 49ers and Raiders linebacker NaVorro Bowman is scheduled to work out for the Browns on Tuesday, a source tells Adam Schefter of ESPN.com (on Twitter). This marks Bowman’s first known workout since the start of the season. Bowman, 30, spent his entire career with the Niners before being released last October. He was productive after hooking on with the Raiders, but new head coach Jon Gruden opted against re-signing him in the spring. 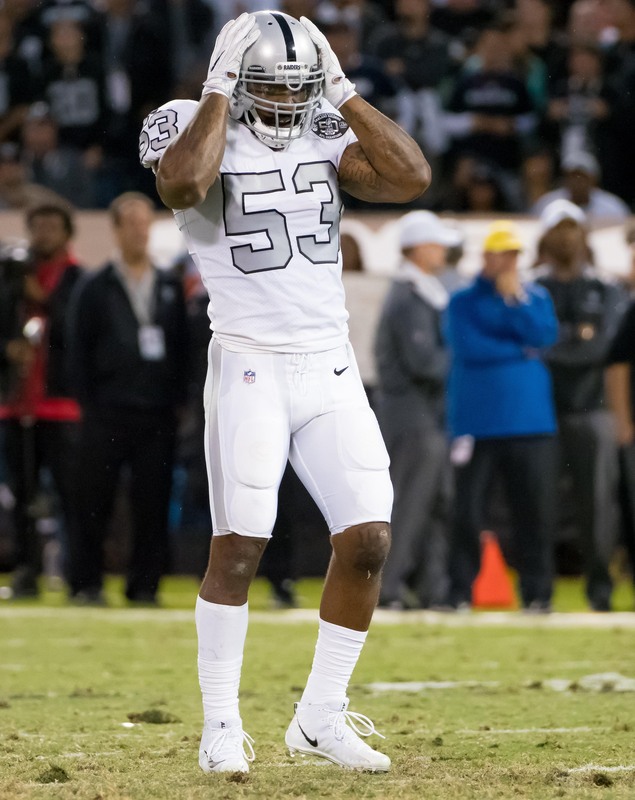 Between his ten contests in Oakland and five in San Francisco, Bowman finished out with 127 combined tackles, six tackles for a loss, five QB hits, and 1.5 sacks. The Packers reportedly considered the veteran after losing Jake Ryan to a torn ACL, but they decided to go in a different direction. Bowman’s market has been weirdly quiet, but the Browns have every reason to believe that he can be a key contributor. At this stage of the year, the Browns could get Bowman for something near the prorated portion veteran’s minimum, and that could prove to be one of the year’s best value signings. In his salad days, Bowman was considered to be among the very best linebackers in the NFL. He earned three consecutive First Team All-Pro selections with San Francisco before suffering an Achilles injury early in 2016. Browns need a MLB and a couple WRs. And they also need to figure out that Duke Johnson is one of the best players they have and he needs to get more touches. I was wondering the exact same thing! “salad days”?!?! ?